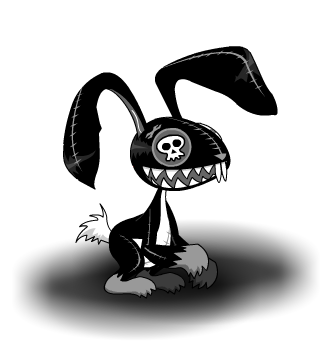 Description: Death's very own Bunny pet prefers to hop through life with you! Take good care of it or you could find yourself owning Death a VERY large favor! Unlocked by purchasing one of Voltaire's Sleezter Bunee toys from Heromart.com! Silver Screen Sleezter Deady Bunny. Thanks to Kaze Nadhif, mturf and Rezurrect.